Moore has moved to North Carolina and will commute up north for a full season of Busch North racing in 2005. He signed a driver development deal with DEI in the late summer and will run a limited schedule of Busch Series events for their organization this year. It is speculated that if his entry into the Busch Series goes well, he might follow in the footsteps of Truex and go full-time Busch racing in 2006. And 2006 might also be the season for Truex to make the jump to Nextel Cup. Bennett wasn’t the only driver with Busch North ties to be seen in the garage area at Daytona for pre-season testing. Series graduate Martin Truex, Jr. will enter the Daytona 500 in the #1 Dale Earnhardt, Inc. entry and helping him at the test was 2003 Busch North rookie of the year Ryan Moore. Busch North Drivers Find Work, Snowmobiles and a PASS Ride? 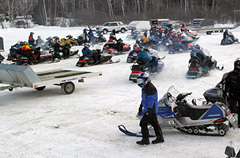 The sixth annual Busch North Scene charity snowmobile race will take place in Rangeley, Maine on January 29th. The drivers expected at this year’s event include Mike Olsen, Eddie MacDonald, Mike Johnson, Bill Penfold, Brian Hoar, Rick Bell, Kip Stockwell and Mark Durgin. Fans can buy a ride ticket for $20 that allows them to take part in a lengthy poker run and a night of entertainment featuring professional comedians. Drink and dinner specials will be available at the Rangeley Inn. An auction and raffle will also be held. Several charities benefit from the ride and last year over 300 people showed up to raise over $8,000. For a racer, it must be a dream come true to enter the Daytona 500 with the most successful team in restrictor plate racing, Dale Earnhardt, Inc., and to have Michael Waltrip and Dale Earnhardt, Jr. as big track teammates. Martin Truex, Jr. will get the opportunity to live that dream next month. Truex will run a limited schedule a Cup races this year with the biggest and first race on the schedule being his first one up. If testing is any indication of potential, Truex is in good shape. He had the 12th quickest lap in the second round of testing out of 53 cars. His best lap was one of 48.690 seconds at 184.843 miles per hour. It was only two years ago when Truex was looking at a partial Busch North schedule as his racing fix for the year. He was picked up by DEI midway through the 2003 season and won the 2004 Busch Series championship in only his first full season at that level. KELLY TO DO MOORE PASSing IN 2005? Speed51.com has heard that Kelly Moore, the winningest driver in NASCAR Busch North Series history might have picked up a part-time ride in the PASS Pro Stock (Super Late Models) ranks for 2005. The centerpiece of his Pro Stock schedule would presumably be a run at victory lane for the Banknorth 250 in late July. Moore will return to Busch North racing this year, but it is unclear what his status in the series might be. During the NASCAR All Star Showdown at Irwindale Speedway (CA) this fall, he hinted that a partial Busch North schedule might be in store for the coming season. There’s no telling when the next time that the drivers of the Busch North Series will get onto the track (rumor is that the season will begin on Memorial Day weekend), but many of the competitors of the tour will be in Western Maine next weekend going fast on snowmobiles instead of racecars. Who says that there isn’t life after racing? The Busch North team of Grizco Motorsports continues to stock up on Busch North winners to add to their team. Multi-team series champions Mike Stefanik and Brad Leighton both drive for the team. 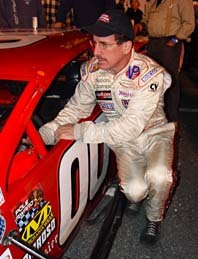 Recently, three-time champion Andy Santerre was also hired to be the Team Manager for the two car team. This week, Grizco added Tom Carey to their operation as well. Right now, there are no plans for Carey to drive. He’ll oversee the partial schedule entry of Leighton during the 2005 season. Meanwhile, another familiar Busch North face has popped up at Daytona for Nextel Cup Series testing. Brad Bennett was at the track as the set-up plate specialist for Robby Gordon’s #7 Cup entry. Bennett has been a fixture in Busch North racing with his #4 Rayben Team in recent seasons. It’s no big surprise, but Ted Christopher has found a ride for the World Series of Short Track Racing at New Smyrna Speedway during Florida Speedweeks. He will drive the #00 Brady Bunch car for the 8 days of racing at the facility. The team will bring two cars for the event which kicks off on February 11th. Former Boehler Racing Enterprises crew chief Brian Schofield will oversee the operation. Christopher drove the Brady #00 in a SMART race at Concord last season and won despite having to start in the rear of the field after missing qualifications. 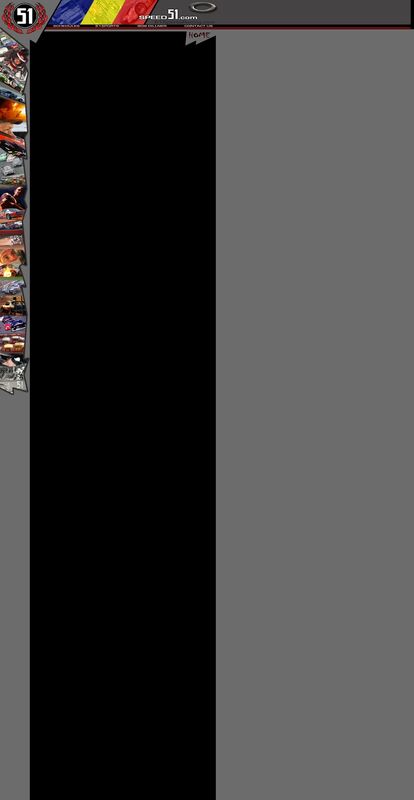 Speed51.com will have full coverage of Speedweeks live from Florida. Keep tuned for more details.